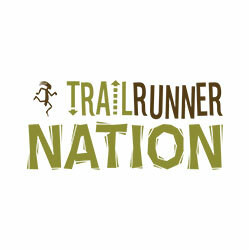 My favorite running podcast is Trail Runner Nation. If you haven't heard of it stop now and go check it out. I've listened to most of the shows in their library. There are so many good quotes and tips for training. Here are just some of the ones I've written down, and my thoughts on the different topics. I'm sorry I don't know what episode, or who said them, but just go listen and you'll find out. You never know where your last finish line will be. You are lucky to get to do this so enjoy it, smile, and have fun out there. If you plan a quality workout also plan quality recovery. The day following a hard workout needs to be easy. You need more recovery as you age. Listen to the signs your body gives you! Road and speed require more "invisible training" than trail. The trail is not as hard on the body as road running and racing can be. Work on leg turnover, it needs to be in your schedule. Try the Yasso track workout. If you put miles in the bank you will pay interest on them later. So go out slow in a race. Don't be an idiot first half, and dont be a wimp the second. Cramping occurs from dehydration , low electrolytes, or running at an intensity the body can't sustain. Train for race and test the pace!!!!! Listen to your body. Take note of what you are doing during training. How much you sweat, pee, and how much food you need. It's all rehearsal for race day. Adaptations happen over time and you need to know what you were doing when things go right, just as much as when they go wrong. Have a change log if you modify things with your routines/training. Even if it's just 5 minutes a day try to start a routine. A body in motion stays in motion. Save music for later in a race when you are not feeling good, or as a reward at a certain mile marker. It may give you more motivation. As mileage increases so should rest, stretching, good nutrition, and massage. Take care of the body more so it recovers better from the stress. Have an "A" race and "B" race. Focus the effort and training to the more important race. Have an "A" goal then "B" goal for the race itself. More supportive shoe on race day. You should have many shoes that work the foot in different ways. Race in a shoe with heel support because of added strain. Train in zero drop if you can work it in slowly. Finish fast on long runs. Simulate what happens in a race. In training test running hard while you are dehydrated and have tired legs. This will help you train for race day. Drink to thirst. Don't be waterlogged and wash out electrolytes come race day. You should not be peeing clear come race day. Don't eat too much fiber. Take S caps before the race will prevent the need to pee. You need electrolytes to process fat and food, if you don't you may have stomach issues. If you don't have electrolytes then water and food that enters the body will be rejected. Take an s cap or hammer tab so you have the right balance. (Really applies to longer races). Visualize the race and how it will play out. Do it daily up until race day. See yourself successful and running the course to completion. A good time to practice this is when you go to bed at night. Race specificity - mimic the next race course and conditions during your training. Don't let your feet or arms cross over the middle of your body. Perform an inventory check while running on your form every 10 - 15 minutes. This is even more important as we start to fatigue. When we get tired our form starts to suffer. Your training should be on a cycle. 3 weeks at regular intensity with the 4th week at 20 percent less mileage/intensity. This allows time for the body to adapt to the training. The benefits from training come when you take a break. It gives your body a chance to rebuild. If you're always going at 100% you never give your body a chance to repair. Mental rehearsal before a big event increases chances of success. Be autonomous! Know everything there is to know about your body. Know how much sleep you need, how much recovery, water, and food you need on a run. You're an experiment of 1. Use your training to test different methods of fueling and pacing. Practice! This comes back to the idea of rehearsal for success. I like to listen to podcasts from Runners Connect and Cloud259. Here are some tips from some of the pros that are worth remembering. If you think negetive thoughts about performance or training negative things tend to happen. Try to have a positive outlook and try and be happy while training. In training, the body and mind are linked. Building endurance is a slow process. You need to have patience with training as your bodies adapts. You can't expect PRs and breakthroughs every race or training run. Elite athletes have been working for years building the endurance base they have. You need to set long term goals that may take 1-2 years to accomplish, not just a few months. Base work is cumulative. The most effective training is consistency. Slow and gradual progress toward your goal. Strength training can be done while you run. Fartlek or hill repeats can build strength and can be done while you get more miles in. Blood flow goes to critical organs while you run to get you moving as fast as possible. You have enough stored glycogen to last 2 hours. Past that you will mostly start to use fat as a fuel source. You need to perform workouts that promote fat burning and train the body to use fat as fuel. You can take in fuel on the run, but won't be processed efficiently. Hard / Easy days and knowing the difference. Hard days should be hard, but easy days really need to be a VERY easy pace to promote recovery. People tend to run too fast on easy days and this doesn't do anything except set you up for injury. 8-10 rep range for most sets, not 3-6. Improves technique and helps avoid injury. Take 130 - 200 calories on the run per hour (This really depends on the person's weight). Should be mostly carbohydrates. Test different fueling sources and see how your body reacts. When you have GI issues you know when you eat too much, if you bonk you didn't have enough or you can't use fat as a fuel source efficiently. The muscles need a 4 to 1 ratio of carbs to protein after a workout. Chocolate milk or PBJ are good choices and are cheap. Studies show chocolate milk helps recovery just as much as the expensive recovery drinks. Build a training plan and stick to it. It's mentally easier to go out and get the training done. Having smaller short term goals is more rewarding then one big long term goal. The mind likes when large tasks are broken into smaller pieces. Runners tend to not eat enough carbs during the training season. Take them before, during, and after to make sure you are getting enough fuel to work out. Not all carbs are created equal, choose healthy, non-refined carbs. 2014 Running Notes – Tips for a better season next year. If I PR in just one distance, or place in a race I say my season was a success. I was second for the Upper Dublin Duathlon, and I took 6 minutes off of my marathon. These are a few of my lessons from the past year I'll take with me. I also started a new training method mid-season so I have even higher hopes for next season. Strength is critical late in the race. I have to focus more on strength. I knew this but still neglected strength training for some reason. Get your feet to the ground as quick as possible. I need to have incredible fast turnover while running. Do not spend excessive time in air. Vertical motion wastes energy. Over striding causes injury, uses more energy and is the biggest mistake people make with running. I noticed lower heart rate the quicker I get my turnover. If you work out every day your body is in constant repair. Eat food that promotes recovery. Focus on more healthy fat / protein. Train your body to use fat as a fuel source. You will get less inflammation in joints and muscles depending on what you eat. Excessive carbohydrates and refined sugar are not healthy and turn into fat. Diet change can help get rid of the nagging injuries. The race profile must match training. You have to match the race elevation profile in training. You can't just expect to deal with a 1000 extra feet of climbing if you didn't train for it. In the marathon there are no surprises so don't expect much better than training. For longer distance races, you need to have quality training sessions. There are no surprises that will happen race day, if you haven't had some breakthrough in training. Keeping low HR means quicker recovery, and more quality workouts. This is also a form of injury prevention. Using a HR monitor helps limit workout stress. Lower perceived effort makes it easier to run faster. When dining out always choose the low carb option and drop unnecessary sugar. Do not have excessive sugar with your meals. Our bodies can't use nearly as much energy as we take in with refined sugar. The rest turns to fat, skip it when possible or have very small portions if necessary. Race pace should be set and maintained the ENTIRE race. Don't fly off the start! Have a plan and execute it. If I can remember these for next year I should have a better season then the last.